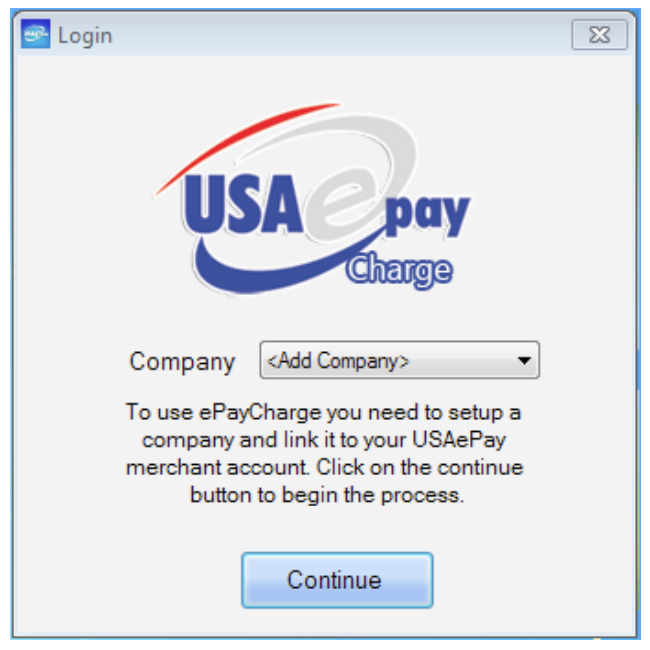 Please Note: Before installing the Retail EPay Charge software, be sure to sign into a computer user account that has Administrative Privileges. 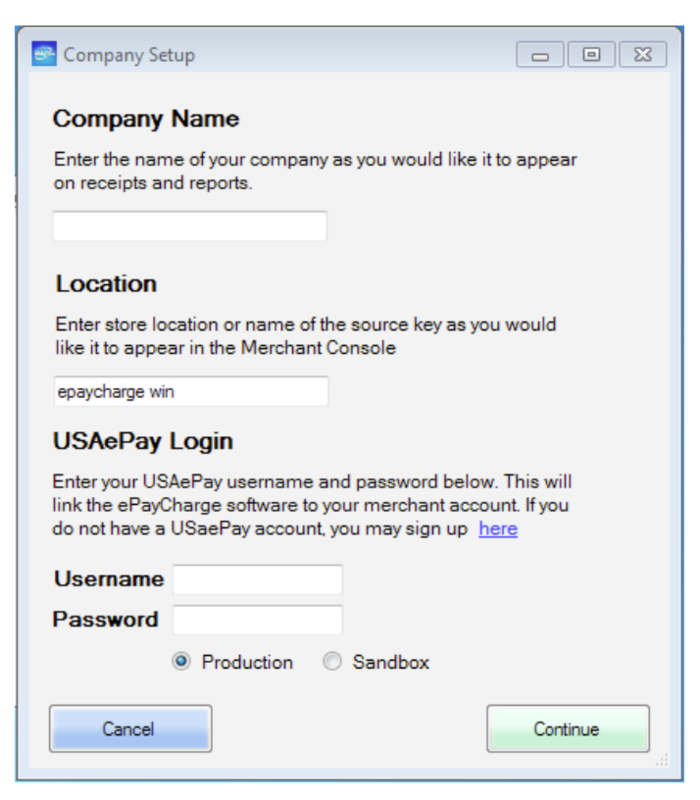 To activate your software, you must sign in with your Merchant Console username and password. This will link together your online account and the software. When you see the first login screen verify it says "Add Company" and click Continue. Company Name - as you would like your company name to appear on your receipts. Location - will name the source key in your online merchant console. Username and Password - enter your login credentials for the merchant console. Please Note: To register the software, you must sign in with a master user. Select to process in the Production or Sandbox environment using the radio buttons. The default account type is Production, but if you are installing the software as a developer or using a sandbox account, you’ll want to choose Sandbox. Once you have successfully registered your software. 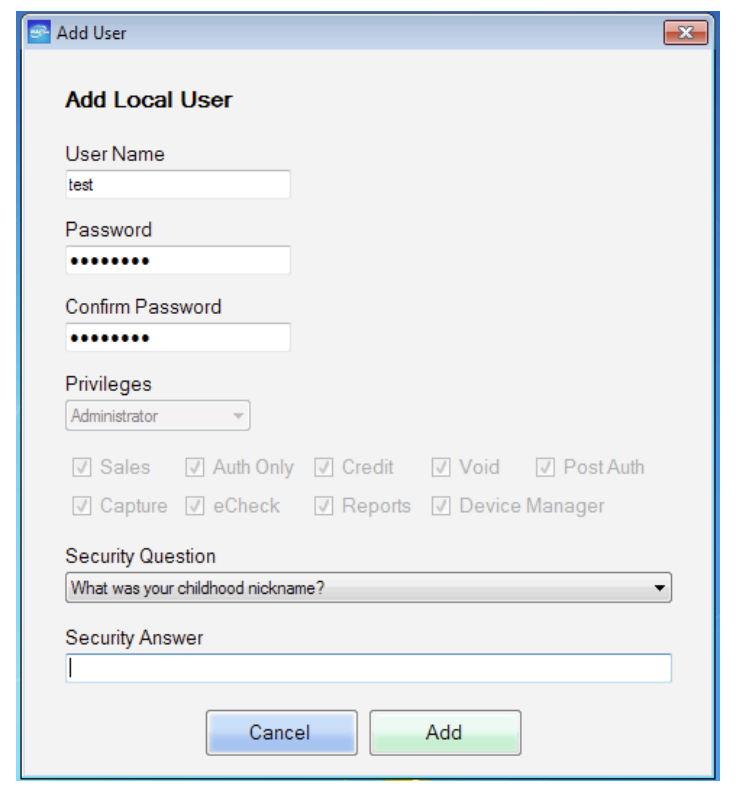 You will need to create local user information (username, password and security questions/answers). 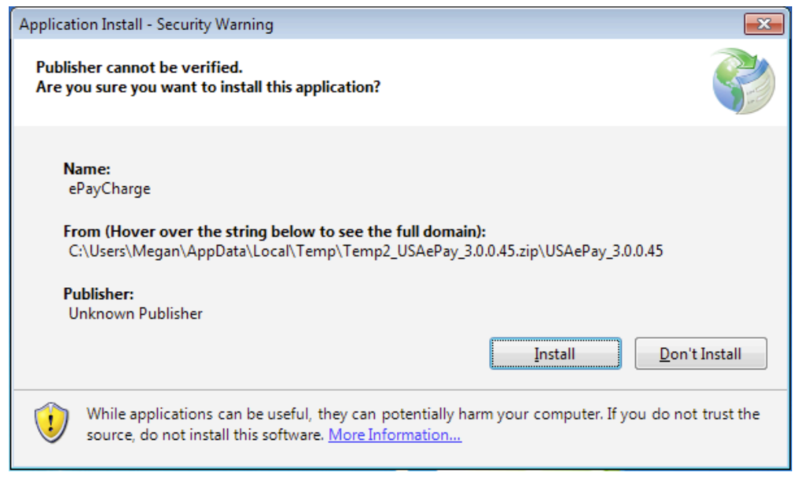 The first user registered to the software has administrative permissions by default however; the permissions can be changed once inside the software. User Name, Password and Security Answers are required fields. Adding additional companies to your retail software allows the merchant to process through multiple gateway accounts through a single software. To add another company to your software, refer to the Register Company and follow the setup instructions per adding a new company. Your login information will be included in the drop down menu on the login page. When you logout, you can choose from your registered companies before entering a username and password.